East of Reims on highway N44 is Fort de la Pompelle, built between 1880 and 1883 as part of Reims's defenses based on the designs of General Séré de Rivière after the Franco-Prussian War (1870–1871). Captured briefly in 1914, it was retaken and protected Reims throughout the war, especially during the German advances of 1918. In its newly restored and remarkable museum are uniforms, equipment, weapons, pieces of artillery, horse-drawn carriages, scale models, dummies, documents, and the world's largest collection of German pickelhaube helmets. In June 1917 Commandant Adjoint Edward Tinkham had his hands full. 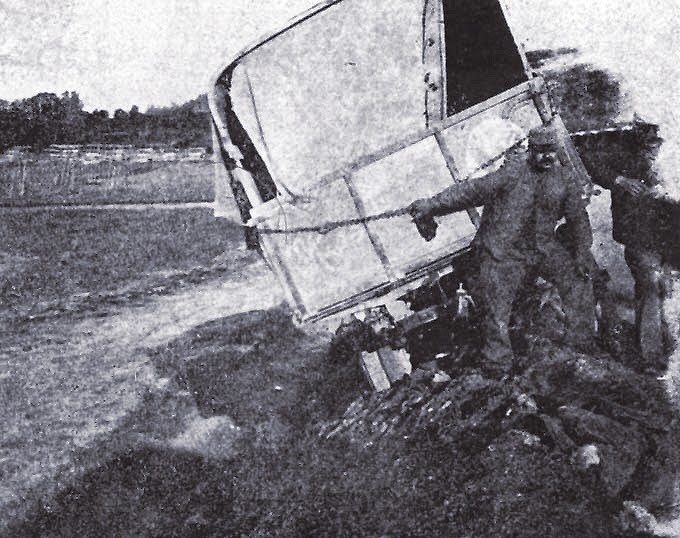 Most arriving drivers were being sent to the Camions, because the French were still asking for more drivers, even providing war-weary trucks, and the Field Service was short of ambulances. Some felt that deliveries were being held up on purpose, others saw French inefficiency. At the top the Service was feeling "pushback" from its donors, many objecting to the combatant role. To satisfy legality, the official name was changed from "The American Ambulance Field Service" to the "The American Field Service", and the Camion units were renamed "The American Mission" to the Rèservé Mallet, where the Americans eventually made up 14 Sections in Groupements 8 and 9, Tinkham’s TMU 526 being the first Section. 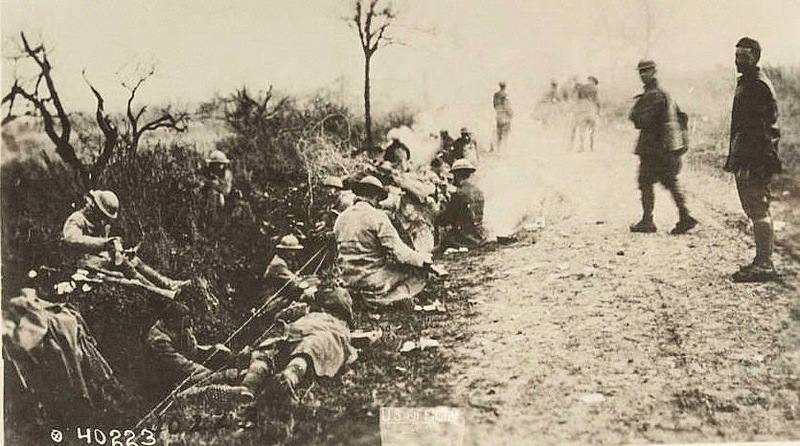 Moreover, the AFS felt honor bound to the commitment made to the French in April, even though the Nivelle offensive had ground to a halt before Tinkham and his men hauled their first cargo. In the field Tinkham was facing command challenges. The section has just finished loading the cars at one of the big depots and is on the road towards the lines. It is early in the afternoon and they can only go to a certain point along the road and wait there until nightfall before continuing to the more advance posts. The load consists of various trench materials … It is not our task to carry such things, but during slack intervals the reserves do not always carry ammunition. We arrived three weeks ago, just at the tail end of an offensive, and work has been diminishing ever since. The fellows get impatient at being idle any of the time – they haven’t learned that this is how war goes...Before six months are up the fellows will have accomplished a lot of real hard physical work. Much more, I think, than in the Ambulance section. But the work isn’t nearly so appealing, so it would take more courage to see it through. We go about as far up as the ambulances and take the same risks – in fact, on every trip some of the cars have run through shells, but there isn’t the same opportunity for individual action. Convoys of eight, twelve, sixteen — always together. 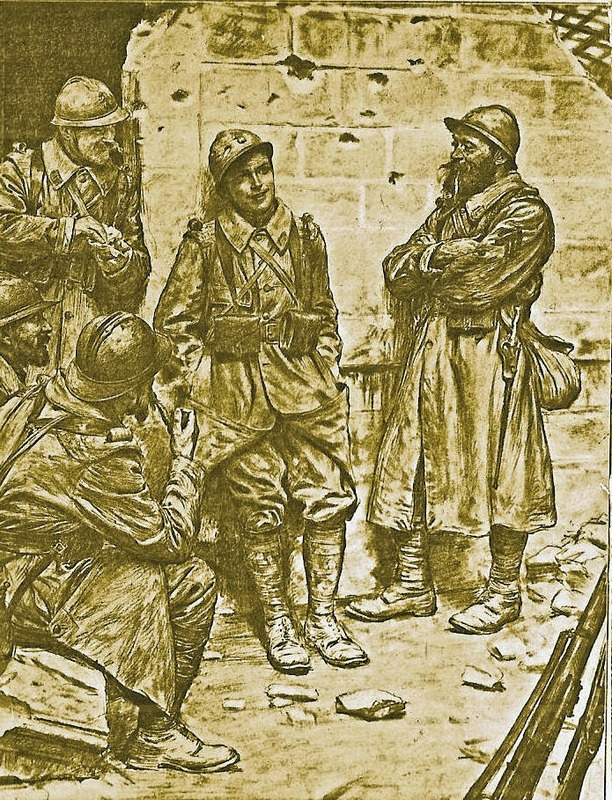 I knew from the start that we had an exceptionally good set of men… it is my aim to have this section be the well from which the leaders of the new sections will be drawn…I expect by the end of the summer there will be a thousand men enrolled… I wish the people in America could realize how much France needs men and supplies. Not only fighting men, but organizers and business heads. At times there are incidents that give reasons, perhaps, why the war has lasted so long. Up near the front we witnessed an air fight between a German and two French planes. After doing some damage the German got away safe. It was a fast and exciting game while it lasted. Al in all, this work is just an everyday grind … there is no hero stuff in the Camion service and Kipling would have a hard time writing a poem on the thrills of a truck driver. What [was written] is a lot of piffle about Captain Tinkham and his bunch of sturdy Cornell men going into the battle, cheered by the French and English soldiers as they march into the trenches. We don’t go within a mile of the first line trenches, and the only danger is from stray shells, and the Germans aren’t wasting many these days. There has been only one man killed in all the sectors here since we came, and he was the last one of forty men going into a dug-out. There isn’t as much danger as there is in New York City. And 2 July: Life has not been at all exciting lately. We seldom get sent to dangerous places in the daytime – not because they don’t want us to get shot, but the camions have some value…I have come to the conclusion that in this work I am not running any more danger than I am going to college – perhaps not as much… A few days ago we saw an exciting air battle between one of our fellows in the Lafayette Escadrille and seven Boches… and saw one machine come down… [a] fellow named Hall (note: this was James Norman Hall, the future author)… he was shot through the arm and the lung … but came to about a hundred feet above the ground, in time to turn his machine. Sounds like a fairy story. No danger, no glamor, hard, boring work — some were yearning for the excitement in the skies. As volunteers, they weren’t stuck with Camions, so they left, especially for pilot training and artillery schools, a trickle became a stream, and another challenge for Section Chief Tinkham. It may be that he wasn’t cut out for this duty. His command style may have been authoritarian. In the biography, in "Friends of France", it is quoted: "Tinkham is the recognized leader of the unit and whatever he says goes." He may have been sensitive to grumbling. Again a quote: "No one could be more devoted to our welfare." In September it got worse. Plans were afoot to create a U.S. Motor Transport Corps, but the Army’s attitude toward the Camion drivers in "U.S. service" was that "we don’t know what that means, but they’re not in the Army." [The] days of Camion drivers in the AFS will always be remembered as terminating on the day when the famous doctrine was annunciated at Jouaignes. For a week it had been rumored that the United States was to take over the transportation division of the Field Service and speculation had run high through the camps as to the outcome. 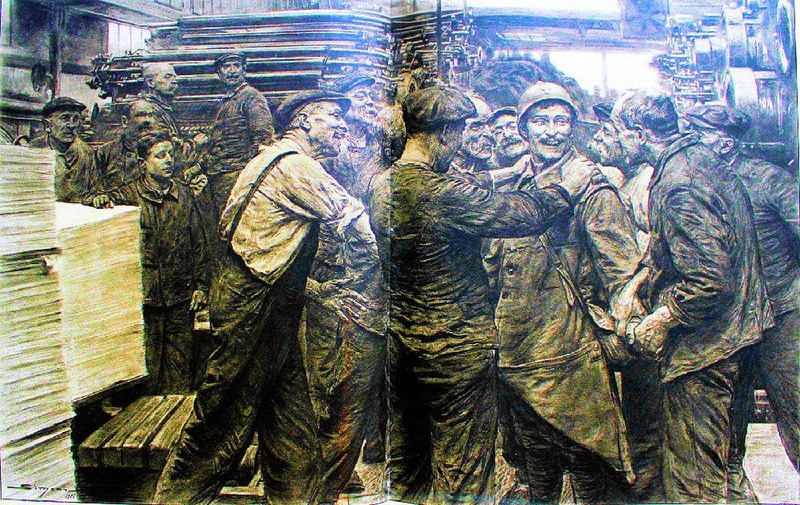 The usual ten o’clock reveille (note: these men worked mostly at night) had been…set ahead three hours that morning when it was heralded throughout the camps of Jouaignes and Soissons that a mass meeting would be held and opportunity given for enlistment. Then came THE SPEECH, a superlative in emphasis and dramatic unappeal. The Camion men were called "Musical Comedy costumed" and compared to Y.M.C.A. workers, even threatened with "get into the American Army or get out of France". And all would start out as privates; French ranks, ratings, badges, and decorations would be left behind. Few men had expected this; the French in the audience described them as staring "comprend pas". The new commandant of the MTC, Col. Gordon Robinson, arrived a week later to find only a few enlistees. He worked diligently to convince more and promised to work out the ranks issue (which he did), and eventually 304 men (34%) were enlisted in the MTC. From TMU 52,644 men went to the MTC, while 81 opted instead for pilot training -- one would become an ace, and another was Edward Tinkham. That part of the story will be told in a future installment on Roads to the Great War. Almost immediately after the ending of hostilities in 1919 a new type of book began appearing — a unit's (it could be company, battalion, regiment, division, or corps) history of their part in the Great War. The few copies that first appeared were the harbingers of the flood of unit histories that flowed into the market, finally dissipating in the mid-1930s as a new war threatened. A look at any one of the histories gave a reader a good idea of what the other ones looked like. The first chapters gave a brief history of the unit's pedigree and were followed by a description of the rigorous training the men received before shipping off to France or any other point. The middle chapters explained the acclimatization of the unit in theater. Then came conflict, the most harrowing action, with the end dealing with demobilization. Any one of us has read one, two or maybe dozens of these histories in our lifetime and stifled down the yawns as we flipped through the pages. Yet we read on because those books provided us with an almost clinical depiction of the unit in the war. True, some pages could be laced with names of commanders, section heads, or even some heroic deed done by one of the men, but in essence the pages contained cold hard facts: where a company went, what points it guarded, how many men were there for the job, what the overall battlefield was like, and finally, a casualty count. For those of us who endeavored to do the scholarly overview of a battle or the war theaters, that information was priceless. Pamela Bakker's book follows this pattern without deviation. Having a genesis among the notes and pictures of her grandfather who was assigned to the 12th Infantry, New York National Guard, 1st Field Artillery Regiment from 1915 through 1919, Bakker did extensive research on how the unit transformed itself from quite nearly a militia into a professional unit of the 1st Army in France. She liberally sowed pictures of the Mexican Expedition through the first three chapters and surrounded them with little known facts about coping with the south Texas climate, people, and circumstances surrounding the American presence at the border in 1916. Apparent through these first few chapters is the unpreparedness that existed in the American military. However, take heart that over the next chapters, the New Yorkers are trained to a fever pitch and finally arrive in France where they participate in the St. Mihiel and Meuse-Argonne offensives. The facts that Bakker loads each chapter with are mind boggling. There is a general description of the cannons the regiment fired, what kind of ordnance was used, the rate of fire, angles, and rates of supply. There are even lists of battery commanders as well as supply section movers. Bakker's book is one of those works that battlefield enthusiasts should keep on their shelf for quick reference to American artillery information. It is regrettable that there was very little personal information from the author's grandfather beyond the images. A quotation of a letter home or from home would have softened the clinical analysis. Nevertheless, the book makes a thoroughly interesting and solid read. Being on dozens of WWI mail lists has its benefits, although it fills up your email inbox. Here's a very rough translation of an interesting article from the Verdun-Meuse history/tourism group. In early September 1914, the Army of the Crown Prince tried to take the fortress of Verdun by squeezing it from both the east and west. During this maneuver, the German troops managed a breakthrough of more than 20 kilometers into the French defensive system before being stopped by strong resistance on the plain of Woëvre. Built 380 meters above the village of Liouville between 1876 and 1878, the fort is situated on the right [east] bank of the Meuse. Its armament was reinforced by two artillery batteries and an annex battery, St. Agnant-sous-les-Cotes. This fort is part of the defense line between Toul and Verdun, designed by General Sere de Rivieres. It dominates the plain of Woëvre and controls access to valleys [? ], the villages of Marbotte and Boncourt, and the roads to St. Mihiel. From 1878 to 1910 Fort de Liouville experienced numerous upgrades with the installation of external cannons and armored turrets of 75mm and 155mm. At the start of war, three armored observatories and stores under bedrock and against the escarpment were also constructed. After mobilization it was the only fort of the Hauts-de-Meuse to receive reinforcements and improvements on its original features. In September 1914 the garrison of the fort, commanded by Governor Laugery, had a total of 703 men from the 166th Infantry Regiment and the 5th Regiment of Foot Artillery and some telegraph operators, foresters, and nurses. From September 1914, the task of the strengthened fort was to stop, as long as possible, the enemy invasion. 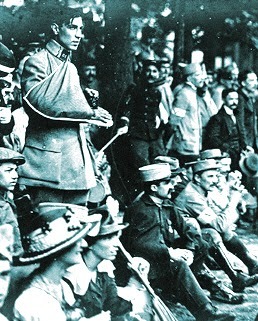 On 22 September 1914 the garrison opened fire on German troops of the Fifth Army under corps commander General von Strantz in the sector Varnéville. 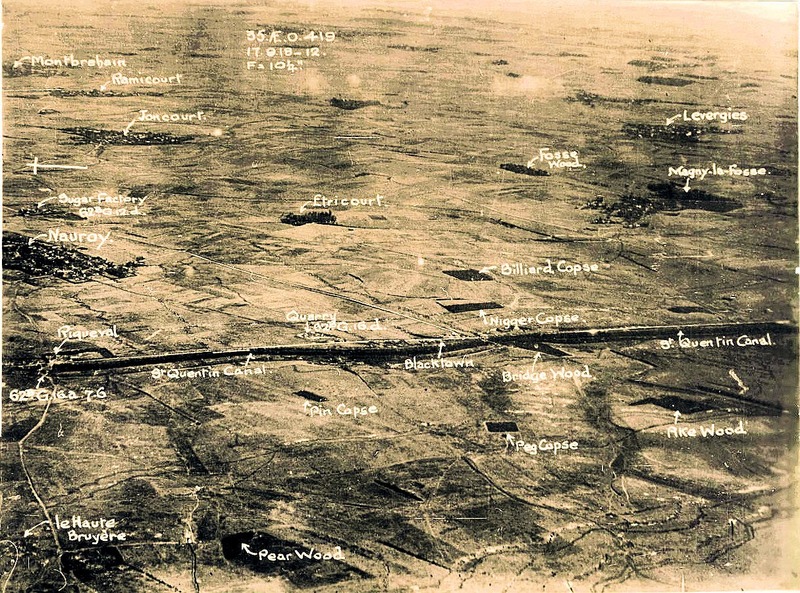 The next day the same German positions were covered [fired upon?] The German rejoinder was swift. Shells come down on the fort. Supported by strong Fort Gironville, Fort de Liouville reopend fire on the enemy troops. 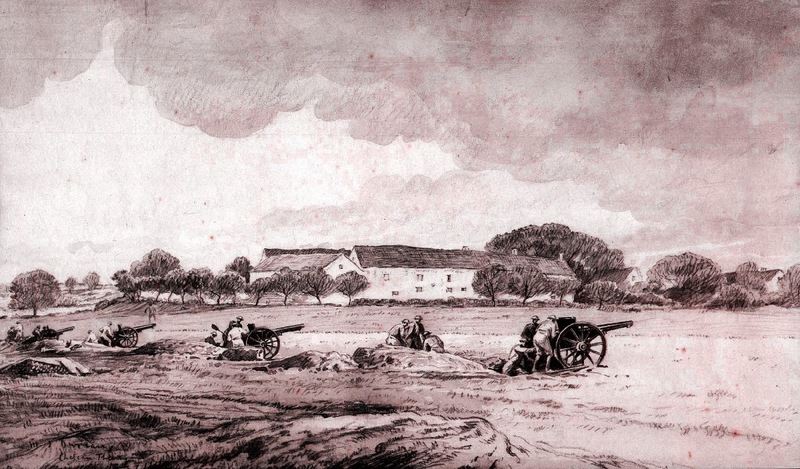 Until 29 September, the garrison suffered a heavy bombardment and took on much damage. The turret Mangin was even knocked out on 27 September by the German shelling. Recognizing this, the governor ordered Laugery on 30 September part of the garrison evacuated. 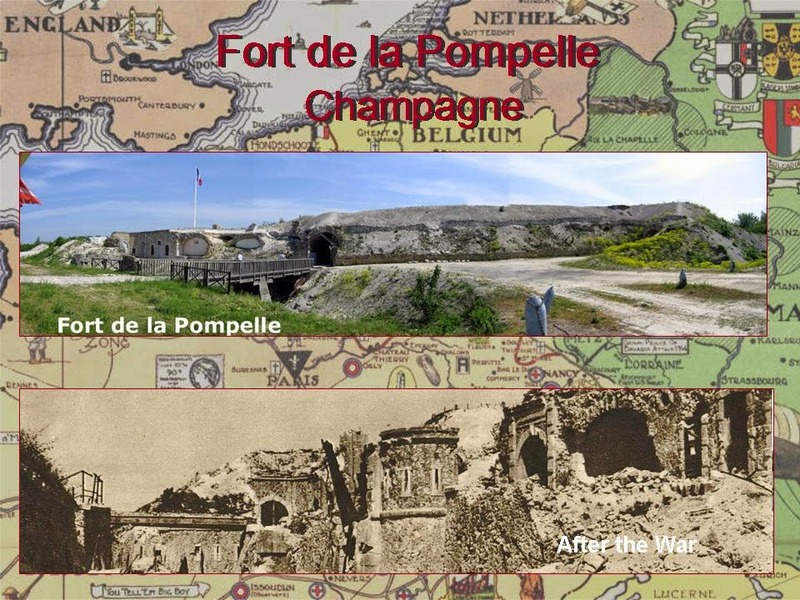 Until 16 October 1914, the fort was bombarded. However, the firepower of the German troops and the extensive damage caused to the fort did not stop the French flag flying there throughout the Great War. Until the end of the war the fort remained weakly occupied by the French Army. It served as an observatory facing German lines and resting place for the regiments out of the hell of combat. 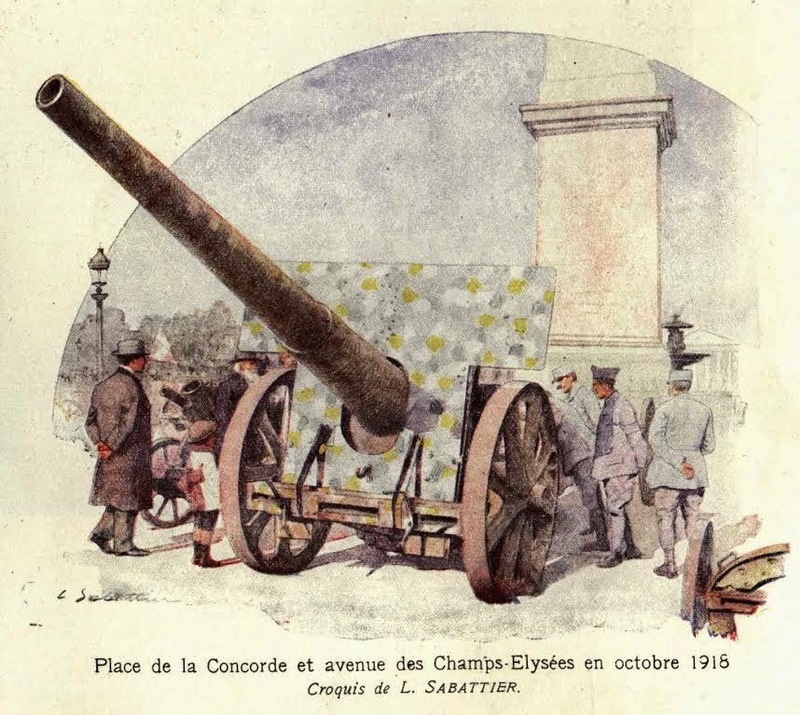 In September 1918, its 75mm turret opened fire and supported the Franco-American attack on the St. Mihiel salient. Since 1988, the Association for the Preservation of Fort de Liouville undertook the rehabilitation of the site. The association organizes tours of the fort throughout the year. Barcelona-born José Simont Guillén (1875–1968) was an internationally admired magazine illustrator during the first half of the 20th century. 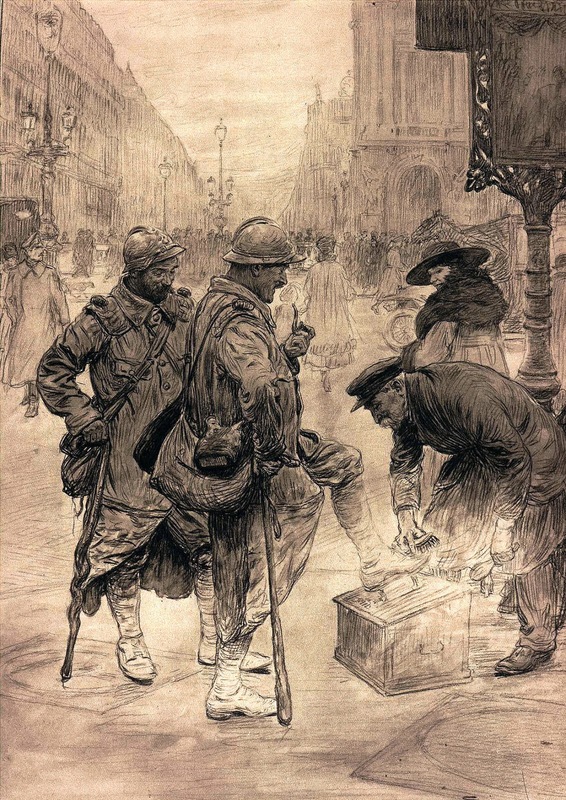 The Great War found him in Paris, where he produced many drawings of French soldiers, almost always highly sympathetic and sometimes quite sentimental. A sampling is shown here; all were signed with the abbreviated version of his name, J. Simont. 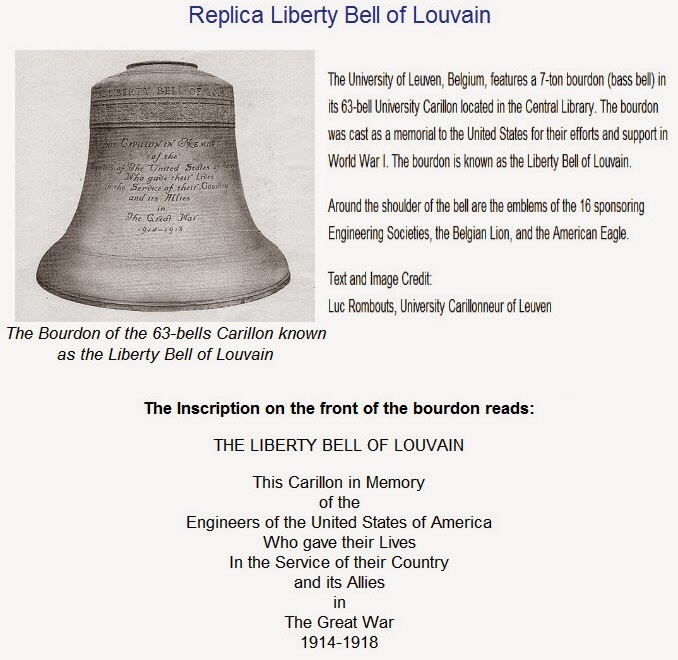 He was later awarded the Legion of Honor for his war work. After spending time in the interwar period in New York working for Collier's magazine, he found himself in Paris again during the Second World War. He drew much criticism, however, for his idealized portrayals of Marshal Pétain, of whom he was a great admirer from the earlier war. In 1947 he returned to Spain and eventually made his way to Venezuela, where he died in 1968. It has been argued that World War I created the modern world by undermining European aristocracy, shifting national borders, industrializing warfare and expanding the public realm of women. The war also changed North Carolinians. North Carolina emerged from this first global conflict less rural, more worldly and better equipped to serve the nation through industry, military installations and shipbuilding enterprises at our ports. 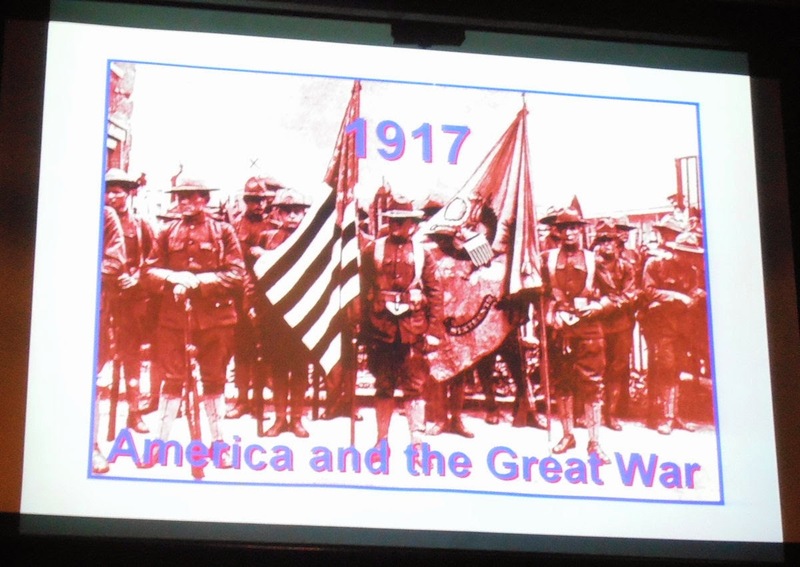 North Carolina is on board for the WWI Centennial commemoration and has provided a model for other states for recalling the experience and changes they experienced from 1914–1918. At the project website (link at the bottom of the page) the days of the war are recollected in a number of ways. Personal accounts of North Carolinians who served in the war can be shared. Information already available includes photos, illustrations, maps, a virtual history library of the battles "Over There", and the experiences "Over Here". No food, no rest, no sleep, men wounded, dead, gas, machine guns, rockets, a continuous barrage, shrapnel, the roar of thousands of cannon. There is no use — I cannot express it. At eleven o'clock the cannons quit — gradually the machine guns and rifles ceased firing. All knew the war was over. Why or how we did not know. The calm was too much — exhausted men fell where they were and broke. Cloverdale, California, is a town of 8,600 citizens about 85 miles north of San Francisco. On 7 October I was invited to participate in the third of the Cloverdale Historical Society's World War I Commemorative programs. The umbrella title of the project is "The Sons of Cloverdale and the Great War 1914–1918. 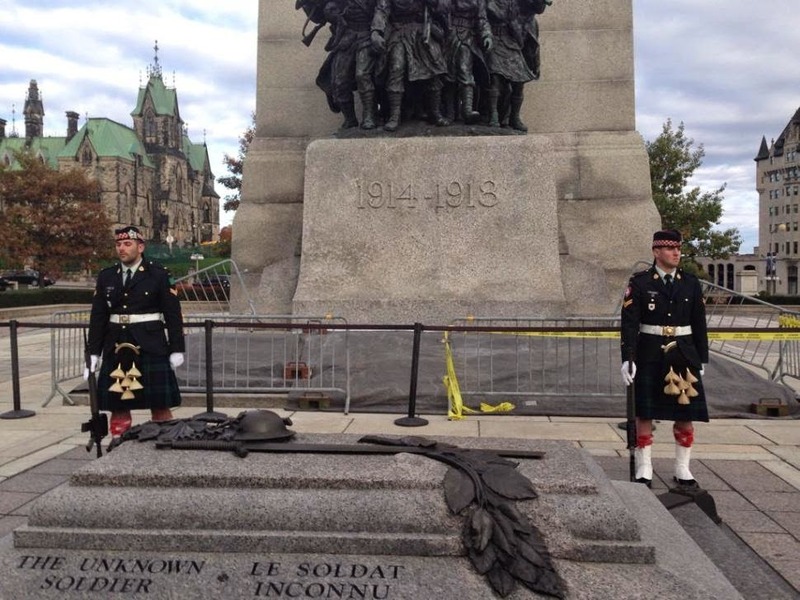 A Centennial Remembrance for Those That Served." I was so impressed by the work of the work of Executive Director Elissa Morrash, Event Organizer and Master of Ceremonies Joaquin Espinosa, and their numerous volunteers that I decided to present their project as a model for every community in America. I hope when you read this, you will pass it on to others in your towns to show what can — and ought — to be done at the local level to remember the sacrifices of those who served our nation. Best news: Cloverdale is not finished. Below we will have information on their next three programs. If you are anywhere near Northern California it is worth making a visit. The individuals remembered this evening were: William Ledford, Cloverdale's first casualty of the war (pneumonia) and Adam C. Adams, who died later in the war. 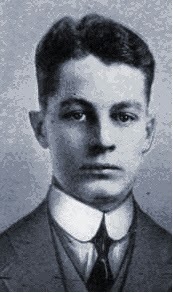 Joaquin also spoke of Lt Victor Cooley (famous surname in town); Capt Billings, a Medical Corps dentist; John Knox Morris, member of the first American Field Service unit from the western states (Stanford, SSU14); and Charles Grant of the 2nd Unit from the west (University of California, Berkley, TMU133, a camion unit). All of these men served in France. 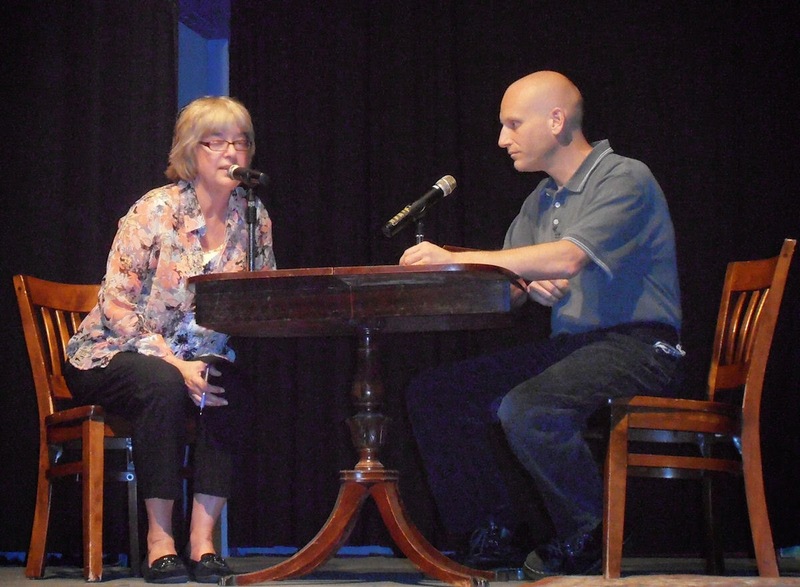 Gene Marcinkowski, American Legion, and Al Delsid, Sons of the Legions, Wrote, Designed, and Presented a Fictional Encounter of Cloverdale Sons William Ledford and Adam Adams, Who Would Both Perish in the War. 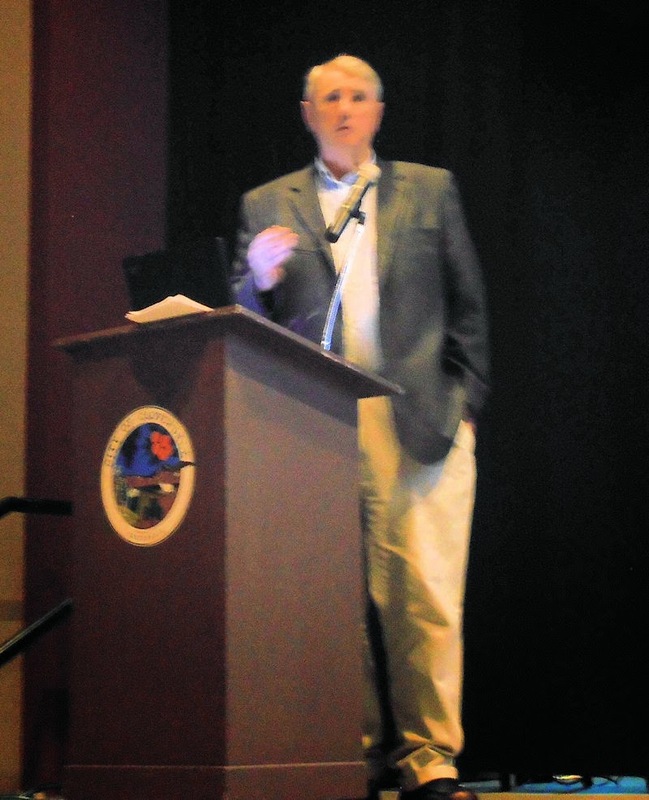 Your Editor Making the Presentation on "The War and Life on the Home Front in 1917"
The Society Has an Excellent Exhibit of World War I Memorabilia and Selection of Posters Lent by Collector Jean-Pierre Mouraux of Sonoma, CA. Tuesday, 28 October 2014, 7 p.m.
Saturday, 15 November 2014, 2-4 p.m. The 58 poems published in Blood Garden comprise an elegy for one of the first Americans to enter World War One. 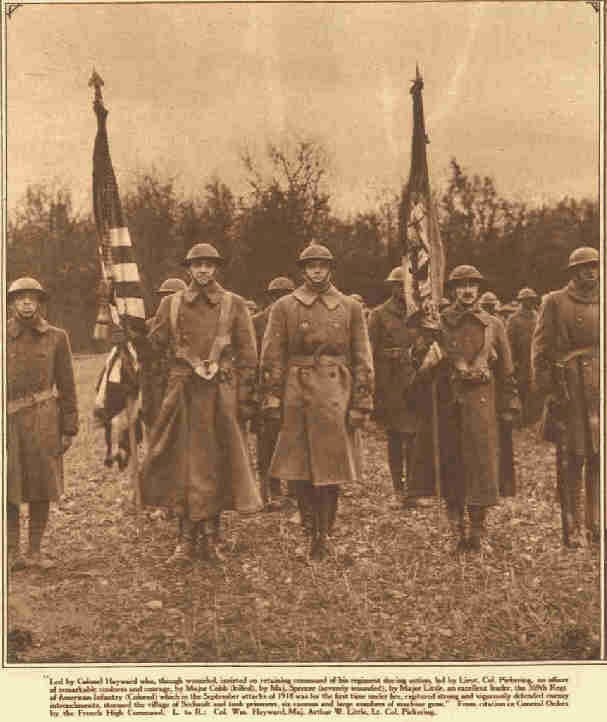 Raymond, who is referred to by his Christian name only, was part of the American Expeditionary Forces that arrived in France in the early fall of 1917. As Pam Bernard observes in her introduction, Raymond, who was her father, was already a "veteran", having served in the military in Mexico in 1916. When he landed in France, he was, however, only 17 years old. Both Raymond and America start a journey in 1917 that takes them from innocence to violence. Pam Bernard declares that the aim of her volume is to address the consequences of the war, "and, . . . in the process, all war." the altogether beautiful song of a lark. Blood Garden also portrays the "mind-rotting boredom" of sitting in the trenches and how this was interspersed with gruesome sights such as the jerking of a headless corpse that is illuminated by a star shell. surely it was a crime. Science is the new logos. As the poem continues to describe the horrors of war, these are juxtaposed against Raymond's earlier life as he walked the hills along the big river/waiting for geese to trumpet their return. In the section called "Foxfire" the narrator describes the unknown soldier, the product of the participating nations' need "to invent a tribute: an unknown to stand in for their loss." The tone is ironic — no one soldier can bear "the weight of all that dying." The penultimate poem returns to the theme of exhaustion explored in the first section, "Stone Boat". Raymond dreams of his earlier life, his mother, the river, and beautiful sunsets. The dream is abruptly broken as bayonets are fixed and Raymond smells the stench of death. 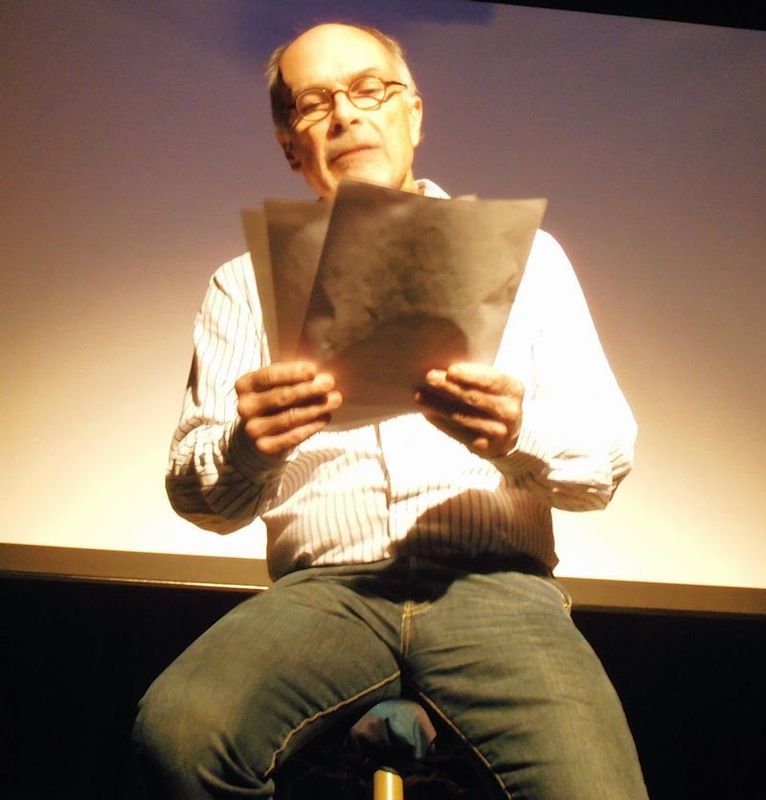 The final poem depicts Raymond back in New England. It is October 1918. He has changed so much that not even his mother recognizes him. While the collection of poems leaves the fate of Raymond open, it is very precise in its descriptions of war, carnage, and suffering. 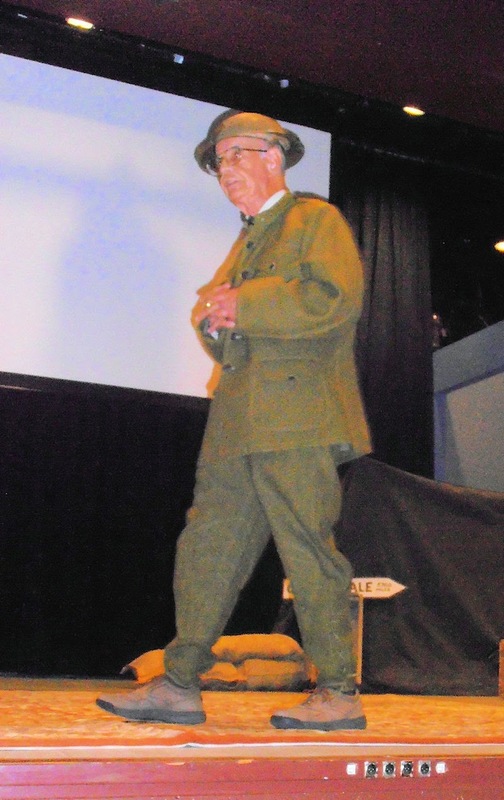 The contrasts with Raymond's former life enhance the tragedy of his experiences at the front. The quality and purpose of Pam Bernard's poems are best expressed in the poet's own words: Much beauty resides in the truth, especially when it saves us from repeating the history we choose to forget (from a letter to Roads editor Mike Hanlon, 26 June 2014). The events themselves cannot speak, but poems that describe what war does to the individual can. Blood Garden is an excellent example of how literature can help us understand what war is and means at the level we understand best, that of the individual. 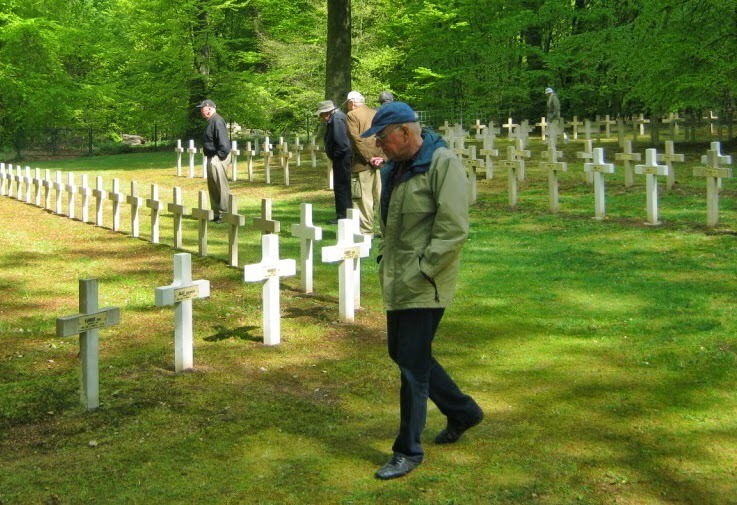 Saving Hallowed Ground is a worldwide organization dedicated to the preservation and protection of monuments and markers, commemorating America's veterans and patriots wherever they may be found. Below you can view a video describing the organization and learn about their preservation work for the World War I monument at Malvern, PA.
We will establish points of contact with community schools in both urban and rural communities and facilitate educational outreach to guide student teams in researching and reporting on veterans' names commemorated on the local monuments. Students will be invited to participate in guided hands-on conservation clinics on the monuments themselves, thus promoting stewardship of these important sites into the future. As you are aware, there are thousands of monuments, markers and plaques dedicated to our citizens and veterans who served and supported the Great War effort. Please visit our website at http://www.saving-hallowed-ground.org/ if you would like to participate in or contribute to our project. Before dawn on 26 February 1918, in a wooded area at Bois de Remieres, France [St. Mihiel Salient, north of Seicheprey], the U.S. Army suffered its first major chemical weapons attack. 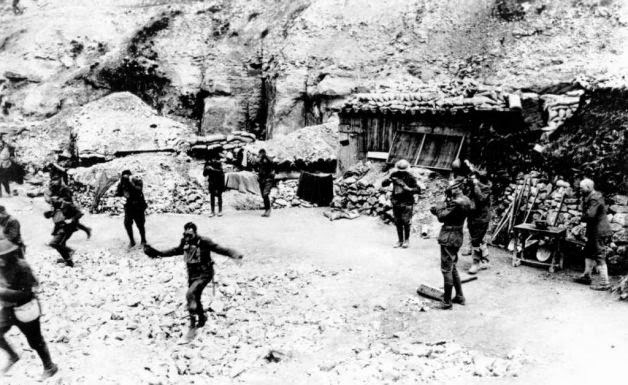 Over the previous several days, soldiers in the trenches there had noticed noisy hammering and other unusual activity on the other side of No Man’s Land. Their German opponents were building Livens projectors, rows of large metal tubes embedded in the ground at an angle. Shortly after 1 a.m. the projectors fired two separate bursts of hundreds of canisters of lethal phosgene and tear gas. The canisters quickly sailed through the air and exploded above U.S. soldiers in the 18th Infantry of the 1st Division, releasing a toxic cloud. The gas was accompanied by high-explosive mortar fire intended to cause additional confusion and panic. Most of the soldiers were able to place their gas masks over their faces and adjust the straps, nose clip, breathing hose, and filter box in time, as they had been trained. Some, however, breathed in the gas while putting their masks on and had to be treated for asphyxiation. Private Mowren, for one, was asleep in a dugout when the attack occurred and he inadvertently breathed the gas in the moments it took him to wake and don his mask. Private Beddell was on duty at a listening post when the gas canisters exploded practically on top of him. The force of the explosion knocked down a man beside him, and Beddell was gassed while trying to put a mask on the fallen man before he had put on his own. Private Liton, a telephone operator in the Signal Corps, managed to put his mask on in time after the concussion from the projector burst blew in the window and door of the dugout he was in, but another soldier in the dugout “went wild” with fright. Liton and a lieutenant attempted to restrain the man and mask him, but Liton’s gas mask was torn off in the struggle and he became sick from the gas as a result. Most of the U.S. casualties, however, were men like Corporal Saukey who removed their masks too soon, believing that the gas had dissipated. Saukey was on a patrol during the attack and got his mask on in time, but he took it off after only half an hour and found that the gas in the area was still strong enough to smell. Approximately 225 U.S. soldiers were in the vicinity during the attack and 85 of them, more than one-third, were injured or killed by the gas. 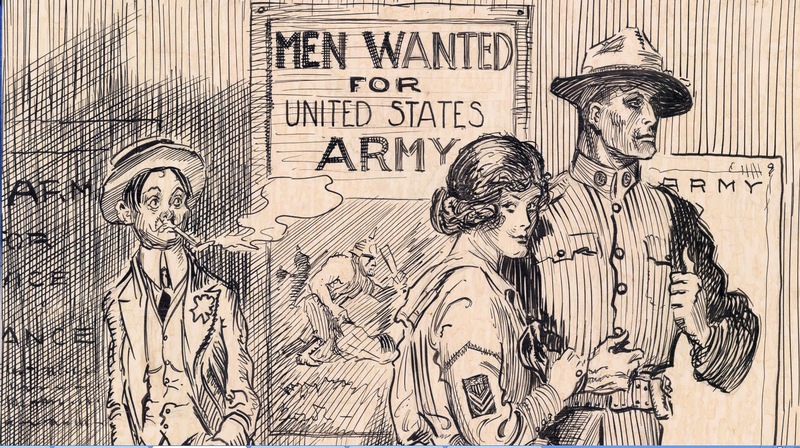 As World War I continued and as more new soldiers from the United States continued to arrive at the Western Front, such episodes were unfortunately common in the American Expeditionary Force. Over the course of the First World War, U.S. Army units suffered a proportionately higher percentage of gas casualties in battle than their French, British, and even German counterparts. The American Expeditionary Force sustained over 70,000 chemical warfare casualties, representing nearly 30 percent of the total U.S. casualties in World War I. 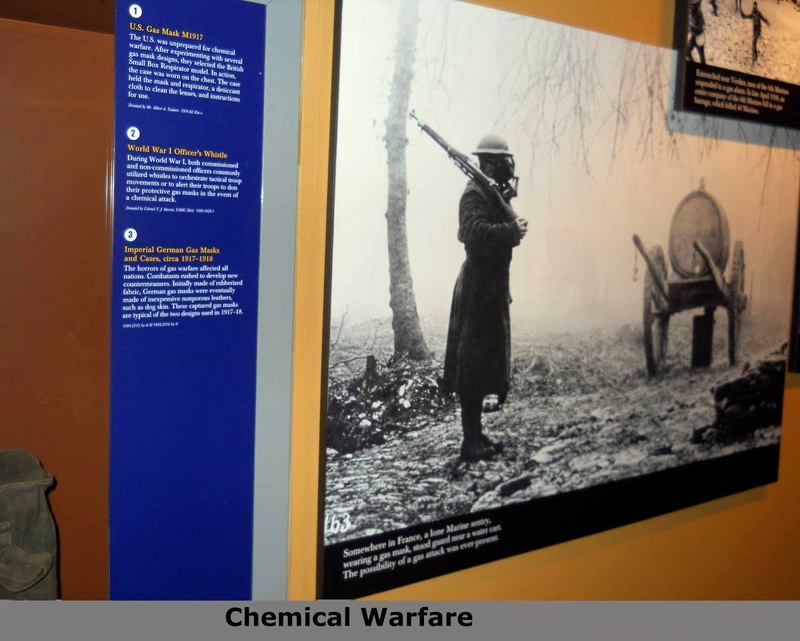 All the soldiers who were exposed to poison gas on the battlefield, whether injured or not, would long remember the anxiety of their first experience with chemical warfare. Dr. Faith is a historian at the U.S. Department of State and the author of "Behind the Gas Mask: The U.S. Chemical Warfare Service in War and Peace". His article was made available through the World War I Centennial Commission. Sentry photo from Steve Miller. 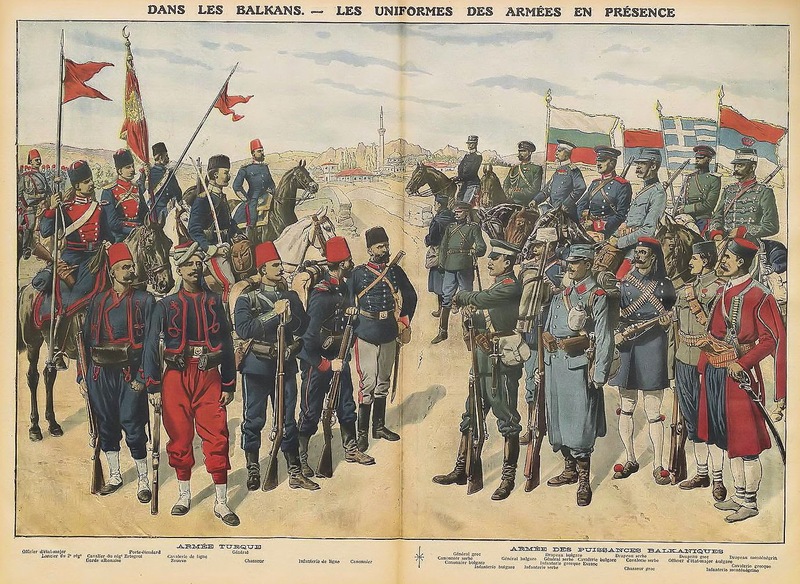 The Balkan Wars are seen as a precursor to the First World War and often as the culmination of a national struggle by the respective Balkan Powers against the Ottoman Empire. This perspective is somewhat puzzling due mainly to the fact that most American, and for that matter European, scholars rarely comment on the First World War in the Balkans after summer of 1914. The “spark” for the war became a sideshow to the “more important” fronts in western and central Europe. 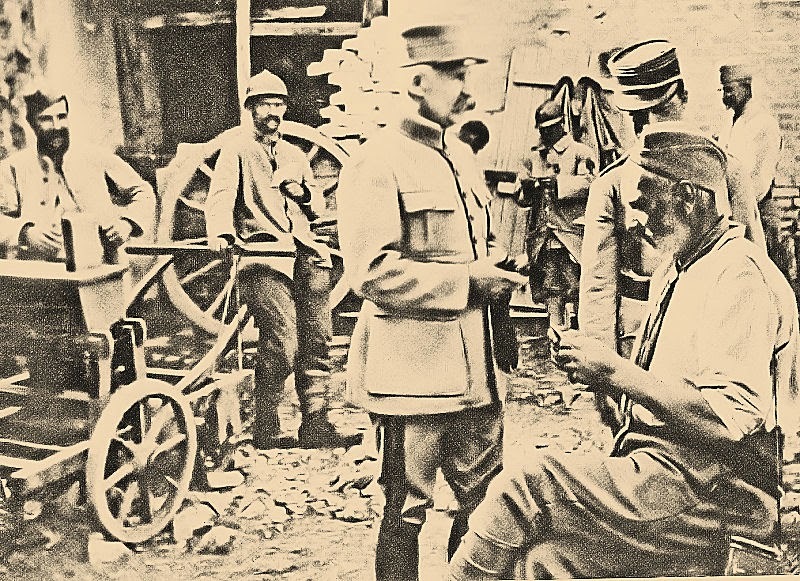 There have been a few recent works on the Balkans in the First World War, but it remains under studied; yet the Balkans as the precipitating cause of the First World War remains a very common theme in many general histories of the conflict. The German Army held Reims for about a week in September 1914, before retreating north to the surrounding hills after the Battle of the Marne. They had a fixation on the Cathedral and were determined to eliminate it as an observation post. 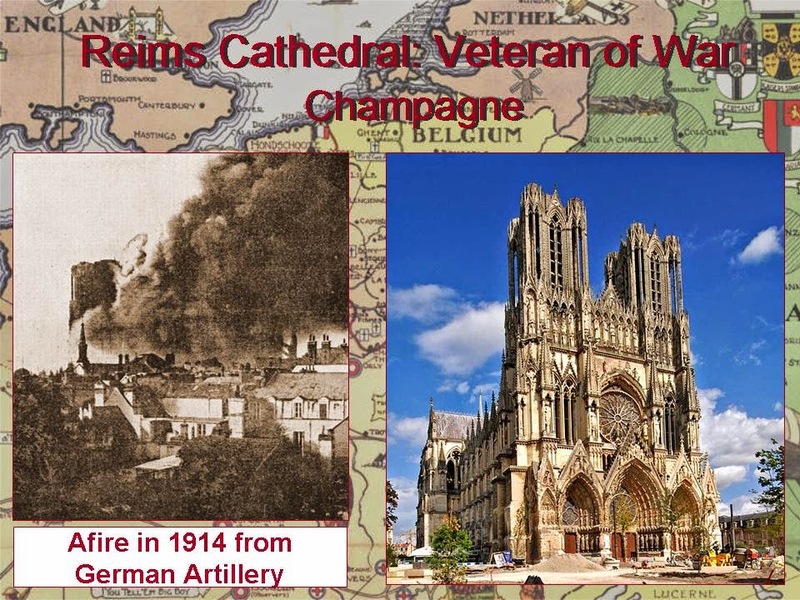 They periodically shelled the city over the 4 years the war lasted and Reims became one of cities in northern France that was destroyed during the War. During this time the cathedral received over 300 direct artillery hits. On one occasion (photo above) scaffolding in place on the north tower caught fire. The fire spread to the whole structure. Lead from the roof melted and flowed through the the gargoyles, destroying the residence of the Archbishop. Reims Cathedral became an international symbol of German brutality. 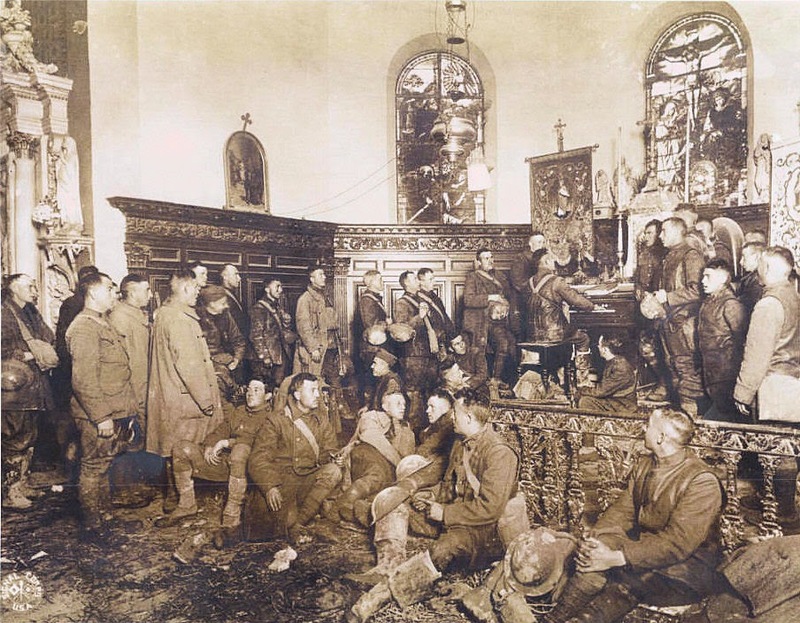 After the Spring of 1915, the international outrage led the the German Army to halt its regular targeting of the Cathedral, but random impacts still occurred, especially when fighting intensified in the local area. Twenty years were necessary for the chief architect Henri Deneux to partially restore the cathedral to its former splendor Excluding Versailles, it was the largest restoration site in progress during the years between the two World Wars. Damage from the war can still be seen on the exterior of the Cathedral, and many of the medieval stained glass windows have never been replaced, although artists like Marc Chagall have contributed some notable replacements. The restoration continues in the 21st century. This evocative passage from Margaret Macmillan's Paris 1919 led me to ask our contributing editor Tony Langley for supporting images. 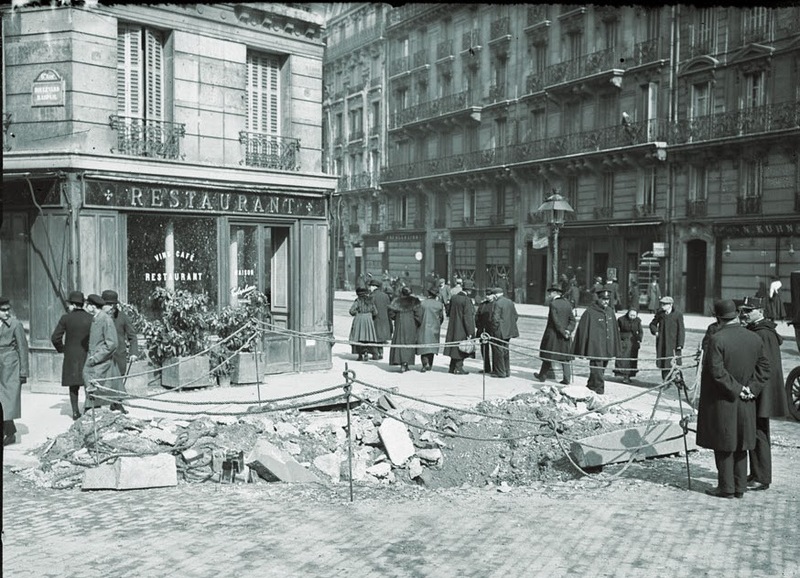 Signs of the Great War that had just ended were everywhere: the refugees from the devastated regions in the north; the captured German cannon in the Place de la Concorde and the Champs-Elysées; the piles of rubble and boarded-up windows where German bombs had fallen. A gaping crater marked the Tuileries rose garden. 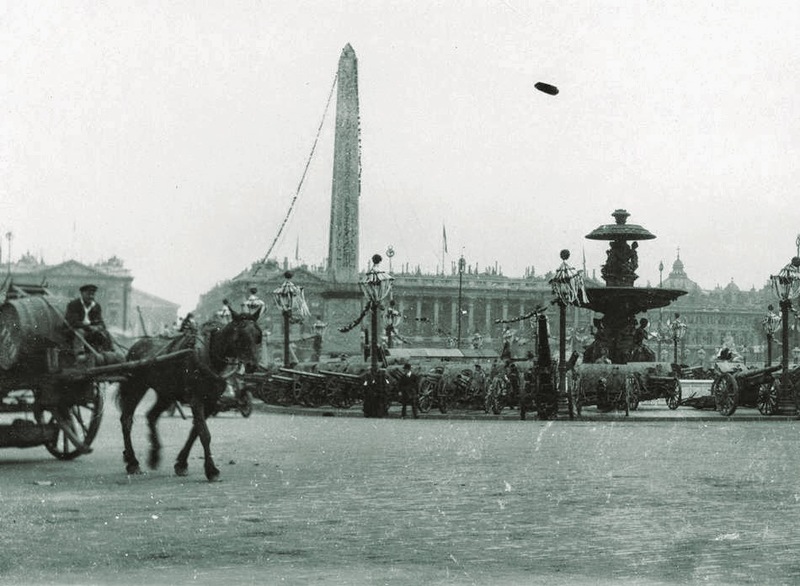 Along the Grand Boulevards the ranks of chestnuts had gaps where trees had been cut for firewood. The great windows in the cathedral of Notre-Dame were missing their stained glass, stored for safety; in their place, pale yellow panes washed the interior with a tepid light. There were severe shortages of coal, milk, and bread. French society bore scars too. 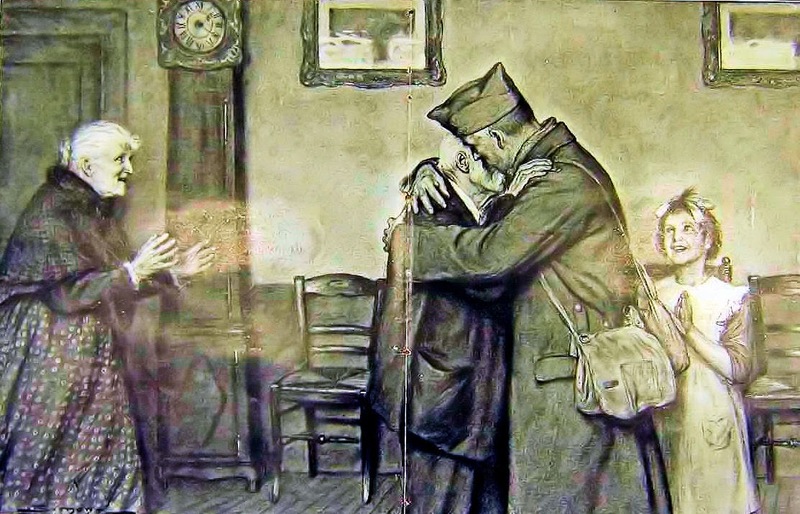 While the flags of victory fluttered from the lampposts and windows, limbless men and demobilized soldiers in worn army uniforms begged for change on street corners and almost every other woman wore mourning. Here is a brief selection from a wonderfully informative website on a forgotten contributor to Britain's effort in both World Wars. Just click on the link below the article to transport yourself to the laboratory of a scientist you may never have heard of who helped make the world we live in. This provocative statement by Burton Yale Pines is clearly an attention-getter on bookshelves cluttered with World War I selections surrounding the 100th anniversary. However, is the distinguished journalist actually able to convince a reader this is unequivocally true? At the end of the book, each individual reader is provoked to render his or her own verdict. The title sparks interest to read the book, but what keeps your attention is a well researched and easy to read overview of the war and America's involvement. Whether one believes America's entry into the war was the biggest blunder of the century actually becomes unimportant somehow. The author convincingly illustrates the U.S. decision to enter the Great War as one of history's rare pivot points. The beginning of the book states this bold thesis and supposes that without America's entry into the war, the war would have stalemated and a "peace among equals" would have ended the conflict. However, with America's entry, the decisive victory of the Allies led directly to an unjust peace settlement, which in turn led to the rise of Nazism, the horrors of World War II and the tensions and conflicts of the Cold War. The true beauty of the narrative is in the chapters describing America's entry and role in the war's outcome. Through eight chapters the author seeks to answer the questions he raises at the end of the introduction of his thesis. "How did America end up fighting a war it never thought it would fight and in which no national interests were at stake?" and "What difference was made by America's fighting?" The author's significant research combined with a journalistic style makes this section of the book one of the most readable overviews of America's entry on the shelves today. The section on effectiveness of British and America propaganda is intriguing. 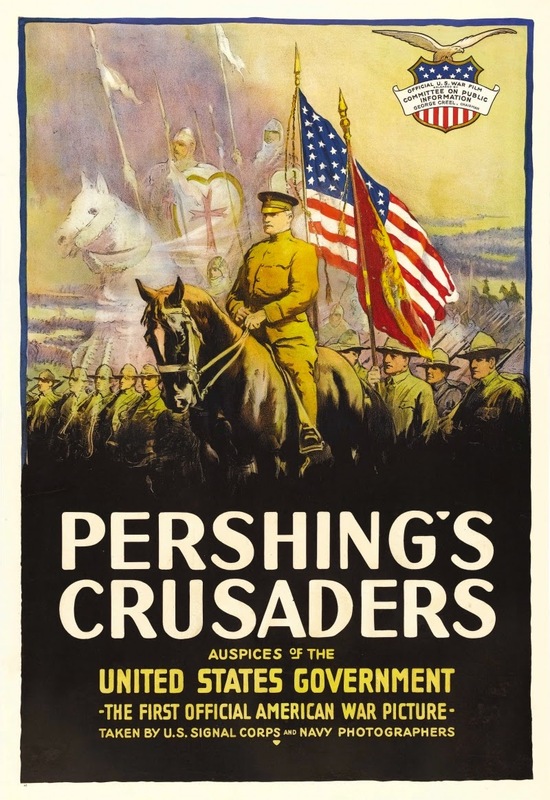 The book explains how George Creel, in charge of the American propaganda machine, was able to turn a neutral population with strong Germanic roots to not only support the war, but vilify the Kaiser. 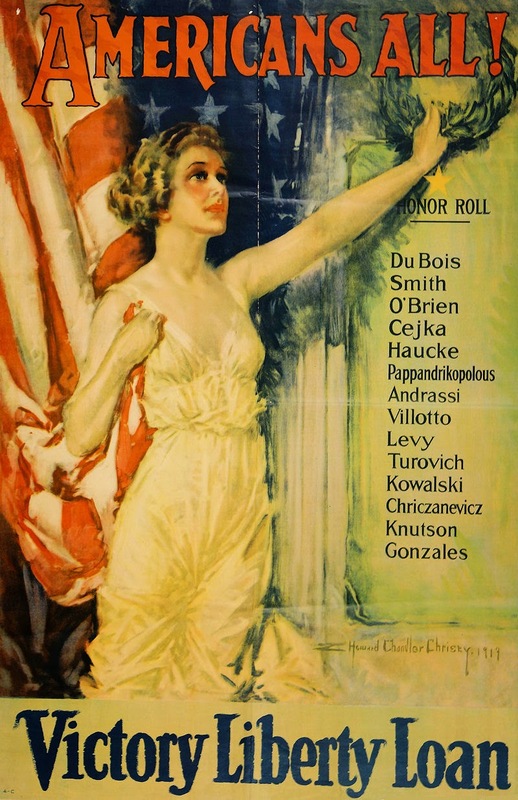 As the author finishes with the American Expeditionary Forces' entry into combat and its role in the final campaign successes, bringing the war to conclusion, one is left to ponder: "What blunder?" 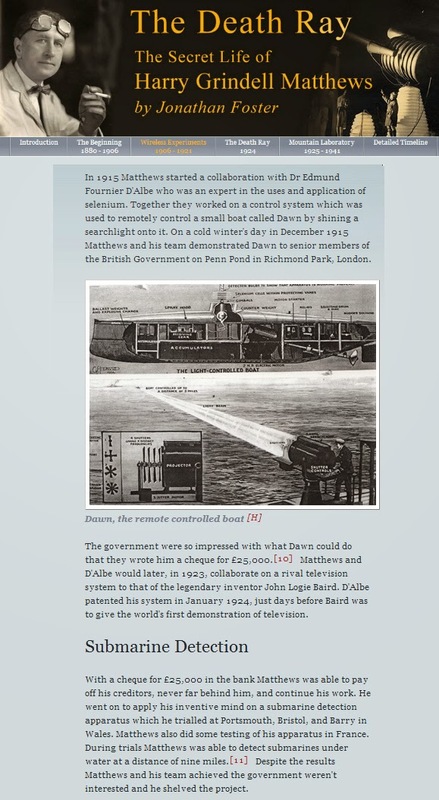 Certainly, Germany blundered with reintroducing unrestricted submarine warfare. Certainly, President Wilson blundered with his optimistic belief he could influence the peace talks and subsequent treaty to be fair. However, does this rise to America's greatest blunder? How could this be? The war pulled the U.S. out of a recession, and tied the Allies forevermore to our economy. America now had a victorious military with global projection. America had arrived. Thus it's not surprising that the reader wonders, Where did America blunder at all, given victory and our rise as a global power? I will not summarize how the author synthesizes and defends his thesis in the final chapters. Why? Because this is a book that should be read this year, if for nothing more than as one of the finest overviews of the war and America's entry into it and the effects of our entry on its outcome. Additionally, I think the author purposely finished the book in a manner to leave readers pondering their own thoughts on whether it was a blunder. Did it really lead to the horrors of the 20th century, and by staying neutral would we be living differently now? Our reviewer, Col. Dennis Linton, U.S. Army, retired, is an assistant professor, U.S. Army Command and General Staff College, Fort Leavenworth, KS, and a Museum Docent at the National World War One Museum at Liberty Memorial, Kansas City, MO. 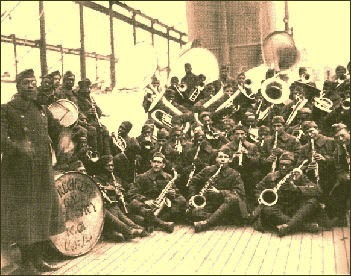 Lt. James Reese Europe, bandleader for the Harlem Hellfighters, 369th Infantry, wrote this song while recovering from gassing after an attack. Below is a link to a YouTube video with a recording of the musical performance of 1919, but try reading the lyrics first as a war poem. To me it has the authenticity that comes from someone who has been there and done that. What Was an "Old Contemptible"? 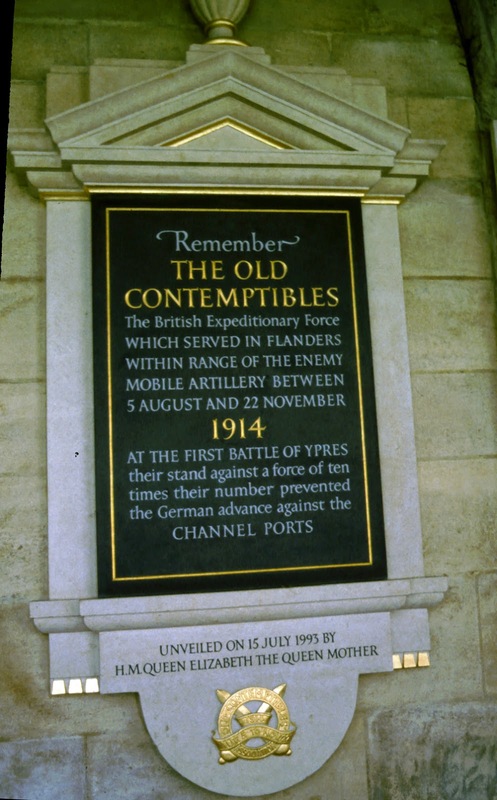 To qualify as an "Old Contemptible" a British Army soldier would have to have seen active service actually in France and Flanders between 5 August and 22 November 1914. 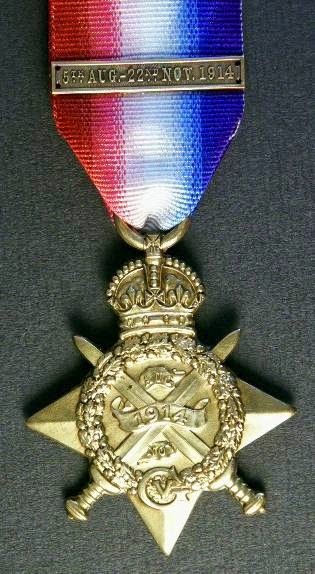 For this he would qualify for the medal known as the 1914 Star. This medal was introduced in 1917. In 1919 a clasp bearing the qualifying dates was authorized and given to soldiers who had actually been under fire between those dates. It was also known as the "Mons Star"
"It is my Royal and Imperial Command that you concentrate your energies, for the immediate present upon one single purpose, and that is that you address all your skill and all the valour of my soldiers, to exterminate first, the treacherous English, walk over General French's contemptible little Army." Ed. note: Our late friend and contributor Tony Noyes wrote this article for the Trip-Wire before he passed away. 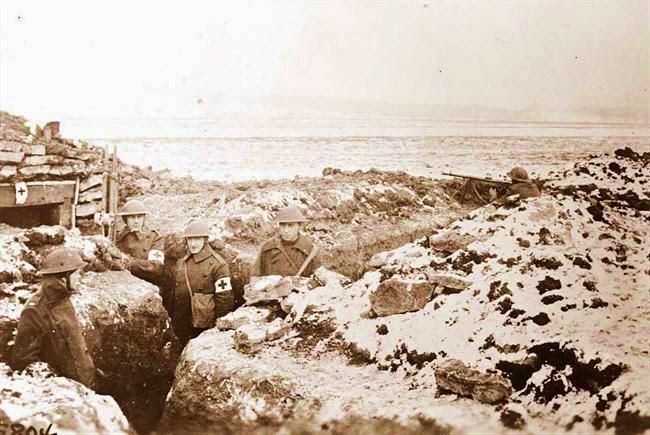 Various units with very good fighting records had come back from the blazing [Chemin des Dames] front in a state of moral disintegration toward the end of April [after the failed Nivelle Offensive]. On 29 April the first mutiny was reported by the 2nd Battalion of the 16th Infantry Regiment. They had been reduced from a nominal 600 men to only 200 by the morning after the assault and were marched back to their miserable billets in Soissons where their comfort was generally ignored. So they drifted, unwanted, and with the rumors floating that they would be transferred to a "quiet" front in Alsace. 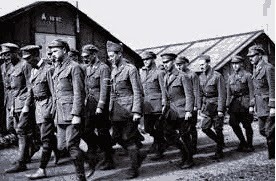 On 29 April they were ordered back to the front. They refused but after midnight were somehow led back to the front by the colonel appealing to them "On behalf of your mates already at the Front". The military police picked out a number of men reputed to be ringleaders, and in short order the majority were sentenced to imprisonment in French Guyana — a death sentence in that disease-ridden place. Five men were sentenced to be shot, and sentence was carried out on 12 June. Notwithstanding the speed at which this mutiny was suppressed, others immediately followed it, these actions accelerating into May with no end in sight. 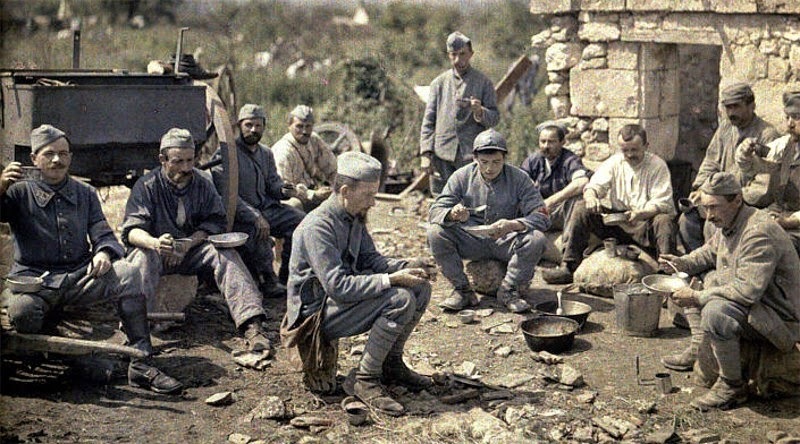 At this time there were about 1000 battalions in the French Army, and it was eventually thought that at least half of them could not be trusted to go into action, although it was thought they would hold the trenches — but no more. In my personal opinion these "acts of collective indiscipline" were brought about by the many broken promises to the troops, bad battle management leading to frightening losses amongst the infantry ever since 1914, and senior staff incomprehension of the living conditions of the French private soldier (the Poilu) or of their need for comfort when in rest and out of the line. Nivelle was acrimoniously fired after accusing his senior army commanders of mismanagement despite their advising him previously of their fears for the campaign. He was replaced in May by General Pétain, who then had the terrible job of restoring hope and morale to the ailing French Army. He did this brilliantly and managed to restore an element of trust in the average Poilu, due to his long association with the fighting men. He introduced proper leave rosters, proper rest camps, proper food facilities, allowed junior officers to report up the chain of command so that their (junior) voices could be heard, and allowed the colonels of the regiments to carry out such sentences against known mutineers as they deemed necessary. Later that year he actually managed to launch various "set piece" attacks, notably to extend the French lines away from Verdun in the summer and to clear Fort Malmaison at the west end of the Chemin des Dames in October. He accepted that the French Army was in no mood to launch any more large-scale assaults but knew that the men would "hold the line" to the best of their ability. Haig was not told of the actual problem but, trusting Petain, continued with the Battle of Arras into May to try to keep some German pressure off the French. He was successful, but at the cost of a heavier daily casualty rate than the army had suffered on the Somme, and the battle finally petered out in stalemate in May. The casualties in April and May amounted to some 148,000, a daily rate higher than those of the Somme the previous year.